What do you do when its raining and you need to be separated from your Pack? Because the Packa is a one piece jacket/packcover combination, the question comes up often about what to do when you need to be separated from your pack when it is raining. For me, if it is raining, I don't get separated from my pack. I don’t stop walking unless it is absolutely necessary. I do not attempt to access my pack while it is raining unless it is an emergency. I just keeping hiking until it stops raining or I get to a shelter or other cover where I can remove my pack and Packa without getting me or my pack contents too wet. But I do realize this is not always possible. Therefore, in rainy weather, I keep a tarp or ground cloth accessible in the side pocket of my pack. I can reach though the Packa's pit vent and remove the tarp. If it is a temporary stop and not raining too hard, I quickly remove the Packa and backpack, put the Packa back on, and wrap the tarp or ground cloth over the pack. If it is raining and I need to set up camp, my tarp can be accessed and set up first while still wearing the Packa and backpack. Once my tarp is up, I can crawl inside to remove my Packa and backpack. Depending on the size of your pack and your flexibility, the pack can be removed without removing the Packa. Release the tension on the packcover drawstring. Pull the bottom of the packcover back and up over the back of the pack. Then slide your arms out of the Packa's sleeves and your shoulder straps, unhook your waistbelt, and let the backpack slide down your back out from under the Packa. It can be done, but not something I regularly do. Will the Packa fit my External Frame Backpack? Will the Packa fit over my Tent, Sleeping Pad, strapped to the outside? Probably not, especially old school externals. I carry an Ospery Exos 48 which has an external frame and the Packa fits fine. However, the regular size Packas work best with internal frame backpacks in the 2000 – 4000 ci range (32 liters - 65 liters). The "X" sizes accomodate packs up to around 5000 ci or 80 liters. If the backpack is too large and takes up all the volume in the packcover, it takes room from the front and the jacket won’t fit correctly nor will the jacket slide out easily from under the packcover when ready to deploy. If the pack is too small, there will be excess room in the packcover which tends to flap around and the jacket fit is affected if the Packa drawstring around the pack is pulled too far up or too far down around the pack. In other words, it is very important that the backpack fit into the packcover section of the Packa easily, but still not be too loose either. Items such as tents and sleeping pad strapped to the outside of the pack generally do not work well with the Packa as they have a tendency to get caught on the jacket part when attempting to deploy. Can you wear the Packa without a Pack?  Yes, you can wear the Packa without a pack, around camp or around town, and it will work fine. It is not something you would wear to the mall, or day to day without a backpack. There is not a way to fold up, or otherwise secure the packcover when wearing the Packa without a pack. However, the jacket part of the Packa will fit fine, and you will not really even notice you have a big, floppy packcover on your back. You do need to be aware that you do not hang the packcover on something and rip it. Once, I was sitting on a picnic table bench at a shelter and when I stood up the packcover caught on the corner of the bench. I was lucky that I felt it tug and sat back down or I might have ripped it badly.